Dream Pod 9: Happy Thanksgiving Day to our Southern Cousins! 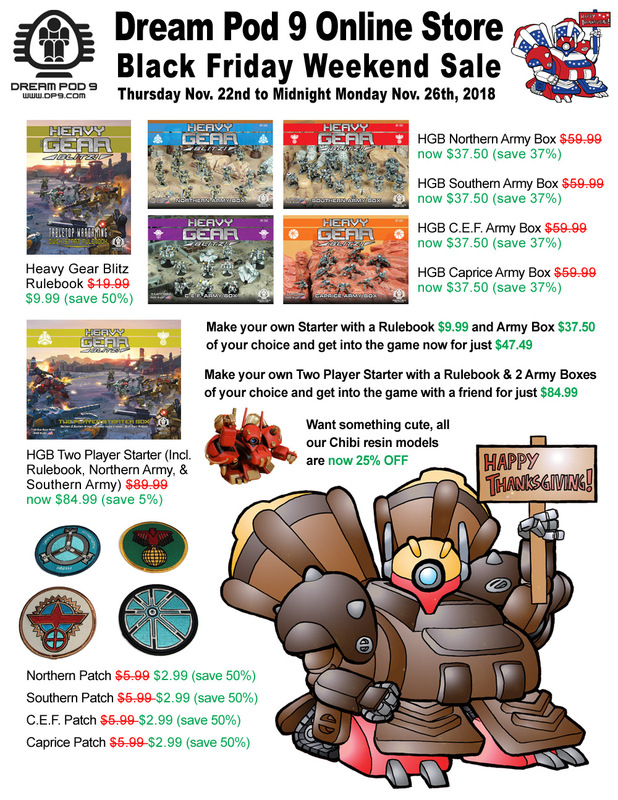 You can get into Heavy Gear Blitz with a copy of the Rules and Army Box for just $47.49 this weekend. Or make a custom two player starter with a copy of the Rules and 2 Army Boxes of your choice for just $84.99 and get into the game with a friend. See the graphic below with the specials and click the following link to visit the DP9 Online Store Black Friday page. Home › Blogs › Robert Dubois's blog › Happy Thanksgiving Day to our Southern Cousins!